The Committee of Administrators (CoA) is set to look into the controversy surrounding Virat Kohli's 'leave India' comment. The Indian cricket captain faced backlash from fans on social media platform post his video reaction to 'mean tweets' while launching the 'Virat Kohli App'. Kohli also came out with his response, following intense scrutiny. Will CoA serve a warning? "The Supreme Court-appointed Committee of Administrators (CoA) will look into the matter," a source said to the news agency ANI. The ace cricketer has also received criticism from the cricketing fraternity about his bizarre comments. However, it remains to be seen how the things pan out and whether the 30-year-old is served a warning for his actions. Kohli recorded a video to promote his newly launched app, 'Virat Kohli Official'. In the promotional video, Kohli was seen stating that fans, who do not support the Indian cricket team, should go and live in another country. This comment was made when he was reacting to mean tweets. Someone had commented that he enjoys watching England and Australia batsmen more than Indians. 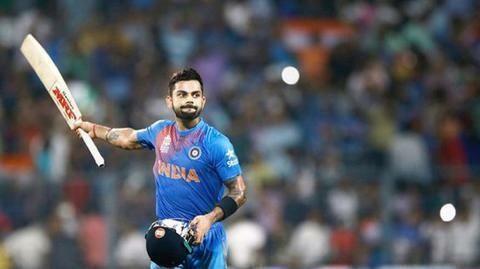 Kohli read out a tweet that said: "Over-rated batsman and personally I see nothing special in his batting. I enjoy watching English and Australian batsmen more than these Indians." Kohli's reply to the same was shocking. "Okay, I don't think you should live in India then. You should go and live somewhere else. Why are you living in our country and loving other countries?" Prior to Kohli's tweet, the damage was already done with fans and cricket fraternity questioning him. While many trolled him, several others had suggestions for the Indian cricket captain. Kohli was the discussion point over the two days during this festive season. The cricketer then claimed he is often the subject of trolling.